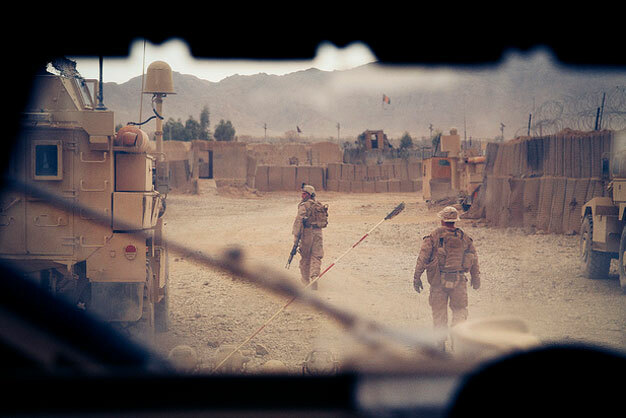 Marines assigned to Fox Company, 2nd Battalion, 7th Marine Regiment, Regimental Combat Team 7, ground guide their vehicles on the way to provide security for an improvised explosive device (IED) post blast analysis near Forward Operating Base Now Zad, Helmand province, Afghanistan, Nov. 25, 2012. U.S. Marine Corps photo by Cpl. Alejandro Pena.